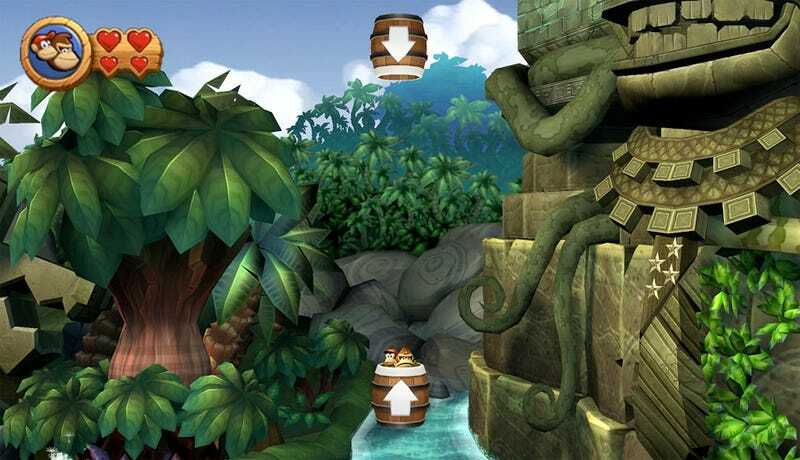 Nintendo's Donkey Kong Country Returns makes homage to on-again, off-again Donkey Kong high score champ Billy Mitchell, Steve Wiebe's nemesis in the documentary The King of Kong. How so? See the patriotic neckwear worn by this giant monkey idol? Eagle-eyed NeoGAF member Lijik spotted the reference to hot sauce maker and Donkey Kong master Billy Mitchell while playing the game. That idol shows up in level 3-2, Button Bash, if you want a possible explanation for one reason why Donkey Kong wears a tie.